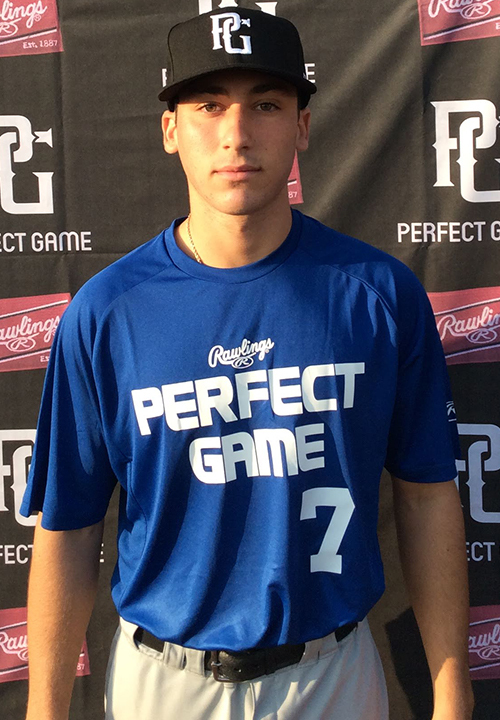 Benino Mendella is a 2019 OF/2B with a 5-10 165 lb. frame from Effingham, IL who attends IMG Academy. Medium frame with slender build. Hits from wider-spread, open stance, rocks back into load, small leg lift, high hand set, shows good hand speed to initiate launch sequence, gets barrel through on lofted plane, wants to get the ball into the air, stays committed to the middle of the field and can use the whole field as well. Worked out in the outfield, attacks the ball well and stays balanced while maintaining momentum through fielding actions, compact arm stroke with efficient path, quick release. Very good student.